For decades, the Toyota Camry has set the benchmark for the modern sedan and has remained a hit with buyers across the country. 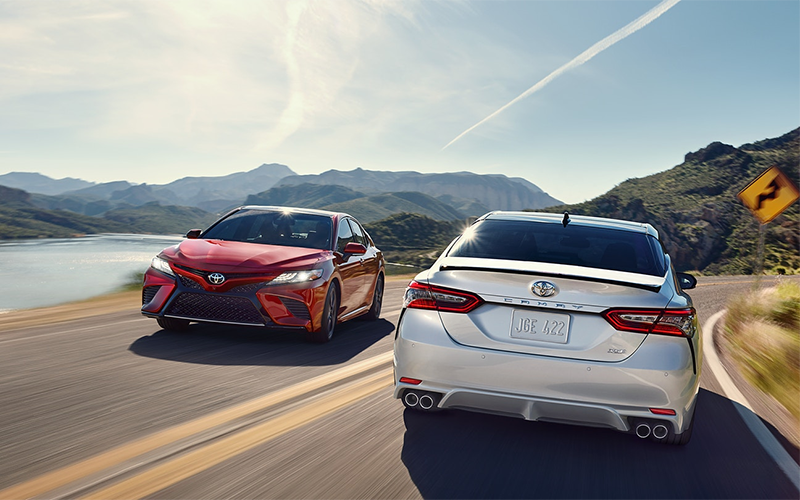 Never content with success, the 2019 Camry continues its legacy of excellence with bold styling and inspired performance to match. Incorporating the innovative Toyota New Global Architecture (TNGA), the Camry is developed with advanced design, engineering, and packaging strategy. 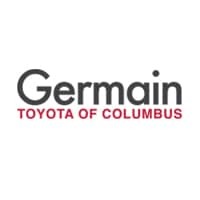 Staying true to the core strengths of the Camry, the goal of this platform is to deliver a thrilling experience to drivers craving more excitement. 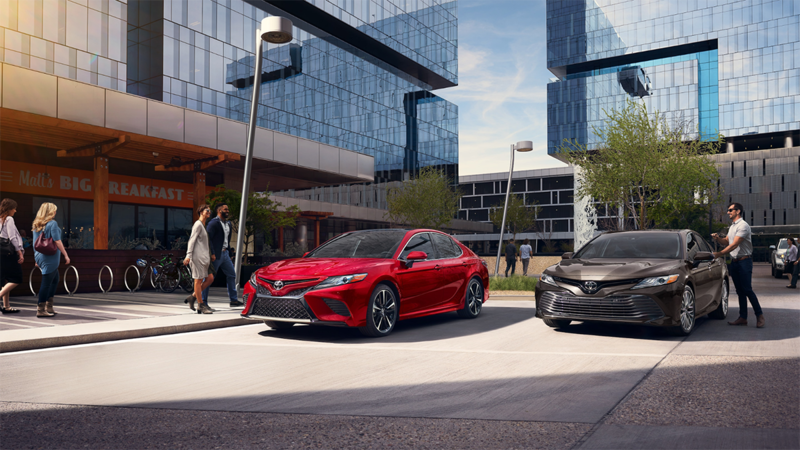 Two potent engine options paired with an innovative 8-speed Direct-Shift automatic transmission help transform the Camry into something extraordinary. Step inside the interior and you’ll find spacious seating, premium materials, and exacting craftsmanship. With an extensive selection of trims and cutting-edge tech features, there’s a Camry model to suit the needs of any type of driver. Changes to the Toyota Camry are relatively minor for the 2019 model year. A highly-anticipated feature making its debut this year is standard smartphone integration with Apple CarPlay® and Amazon Alexa compatibility. XLE and XSE models receive standard Qi wireless charging along with Entune 3.0 Audio Plus. An optional Navigation Package which was previously restricted to V6 models is now available on 4-cylinder XLE and XSE trim levels. Edgier and more expressive than ever before, the Toyota Camry gives drivers a striking new way to hit the streets in style. At the front, a two-piece grille with character lines cascades from the nose through the front doors. These lines span along the vehicle’s profile, attracting light from all angles. The 2019 Camry helps you make a lasting first impression. Total height has been reduced by an inch in comparison to the prior generation while vehicle width has been expanded to create a lower center of gravity and improved handling. The interior receives several upgrades including soft-touch surfaces, premium materials, and driver-centric ergonomics. Joining the refreshed 2018 Camry platform are three all-new powertrains. These include a new 2.5-liter 4-cylinder Dynamic Force engine, a new 3.5-liter V6 with D-4S Fuel Injection, and a next-generation Toyota Hybrid System (THS II). Gasoline models include a new 8-speed Direct-Shift automatic transmission tuned for both greater response and efficiency. With the 4-cylinder, the main emphasis of engineers was placed on higher torque, greater power, and lower fuel consumption in total use range. This is achieved by implementing the most current version of the Toyota Variable Valve-Timing-intelligent Electric (VVT-iE) system. Camry Hybrid models also achieve outstanding fuel economy ratings with Prius-like city/highway driving manners. 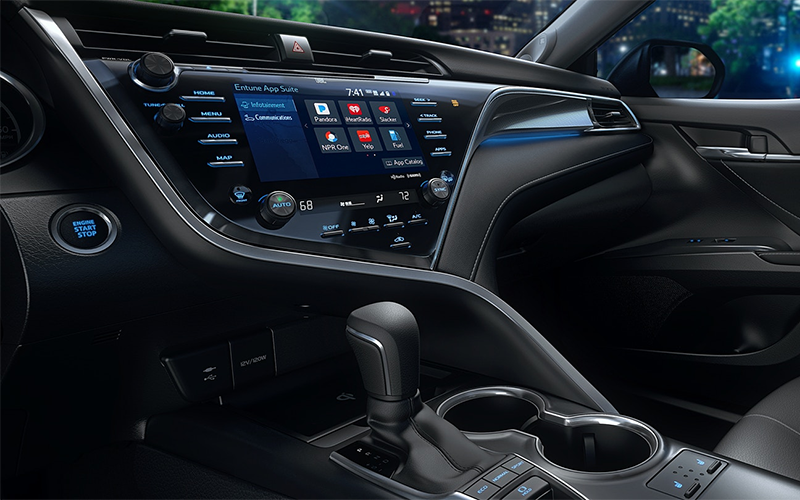 Standard across the entire Camry lineup is the new Toyota Entune 3.0 multimedia system includes navigation along with App Suite Connect. An available 8.1-inch multimedia touchscreen uses intuitive pinch-and-zoom navigation controls for a familiar user experience. The dash layout of the Camry provides an inviting, wide-open space which gives you the sensation of being in complete control. 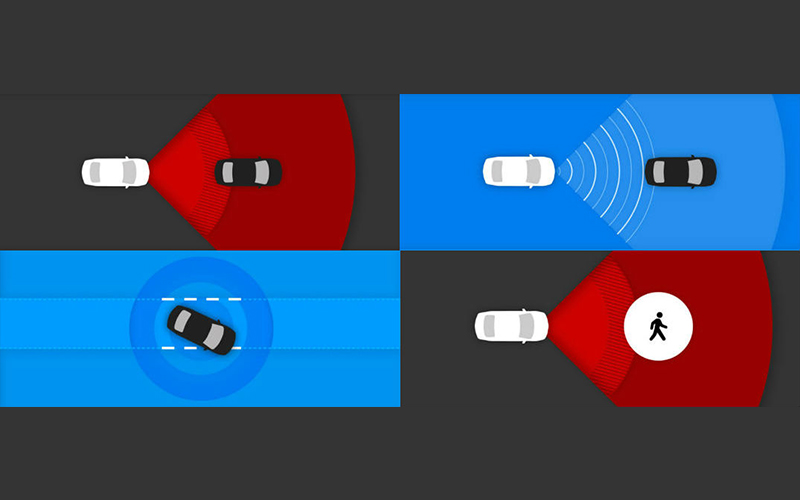 Other Entune 3.0 features include available Remote Connect, which gives you the ability to lock your doors or start your vehicle remotely, get vehicle status notifications, and provides a helpful vehicle locator function. Optional WiFi Connect allows up to five mobile devices to connect via 4G LTE. 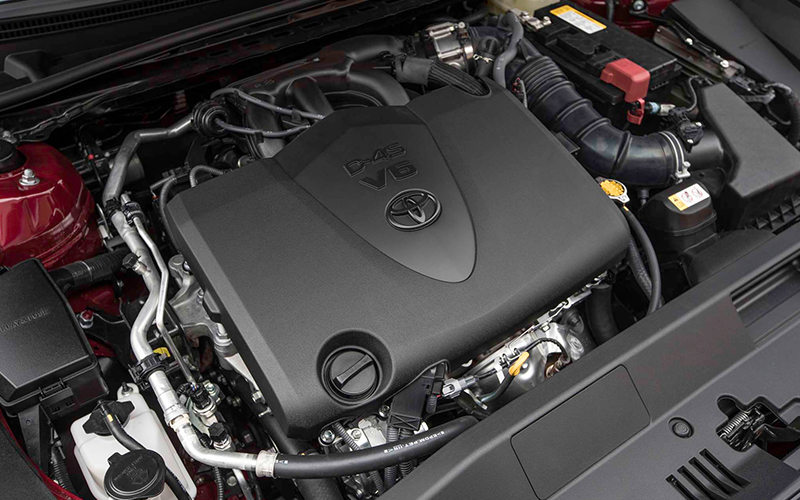 Standard on every 2019 Camry is Toyota Safety Sense P (TSS-P). Groundbreaking safety technologies included in this package are Lane Departure Alert with Steering Assist (LDA w/SA), Full-Speed Range Dynamic Radar Cruise Control (DRCC), Pre-Collision System with Pedestrian Detection (PCS w/PD), and Automatic High Beams (AHB). The Toyota Star Safety System is found on all Camry models as well, and include Traction Control, Enhanced Vehicle Stability Control, Brake Assist, Electronic Brake-force Distribution, Anti-Lock Braking System, and Smart Stop Technology®. A backup camera and 10 airbags are two other standard safety features on the Camry.